The Baltimore Running Festival has long prided itself in having a race for everyone. For years we have had races for young and old and distances for walkers to elite athletes. 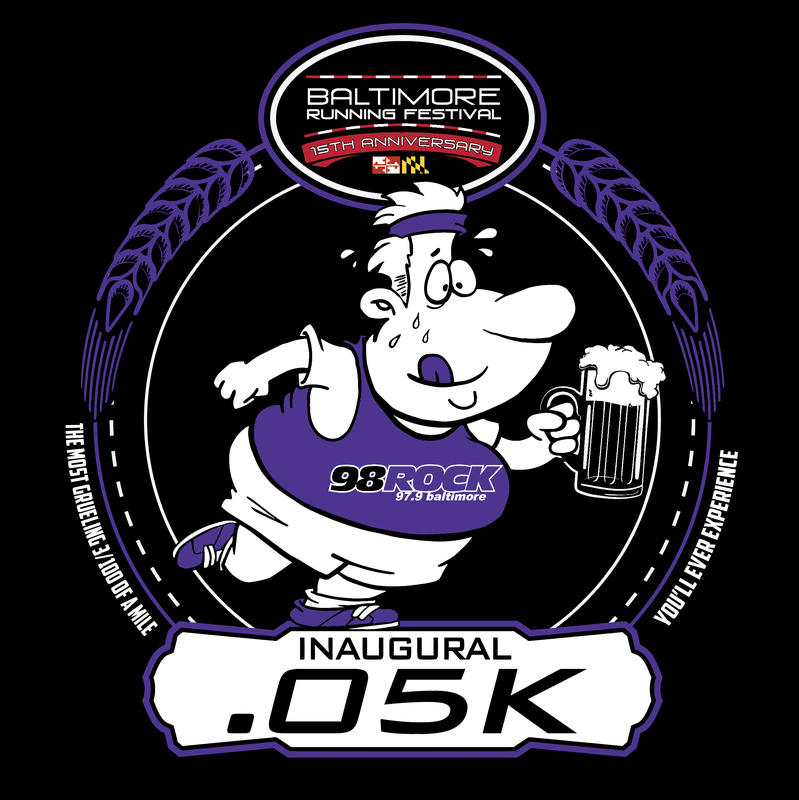 Once again this year we will include the .o5k as part of the Race Week festivities, in partnership with 98Rock and its partners. This 98Rock sponsored event will kick off the weekend celebration and add a race distance that truly everyone can complete. Festivities at GAME Sports Bar will start at 6pm with the race starting at 8pm. All proceeds from the $15 entry fee will go to benefit the One Love Foundation. Prizes will be given for best costumes and other categories so come in style! Race entries are limited! If the .05K is too much for you to handle, you are still welcome to come enjoy the family friendly festivities and help us to kick off the Baltimore Running Festival’s Race Week Celebration. Run an exhausting 162 feet, in the name of charity! We’ll have entertainment & a water stop at the halfway marker! Your $15 registration includes a race bib and a commemorative T-shirt (Unisex: S-XXL). Plus a free beer after you push through the finish line. **Must register by 11:59pm on Sunday Oct. 13 in order to guarantee a T-Shirt.